Latency remains a key concern in options trading. In today's increasingly competitive markets the penalty for slowness is steep: traders whose systems are not designed from the ground up with low latency in mind soon find themselves being picked off by faster competitors. 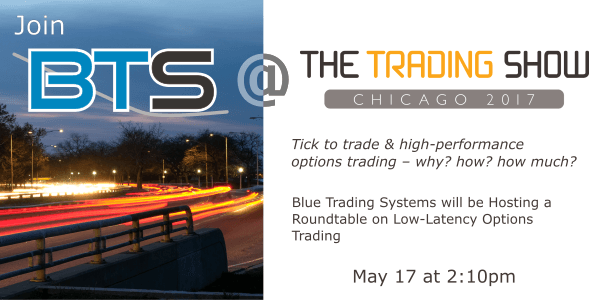 Join Blue Trading Systems’ Pedro Pinto and Kevin Darby this Wednesday at The Trading Show 2017, where we will be hosting a roundtable on the importance of latency in high performance options trading.